We have some of the best speaker selections and matching solutions. Dolby digital, DTS, and THX are the movie industry standards for audio recording and playback of movies. One thing they all have in common is that you must have speakers to hear what the filmmakers wanted you to hear. When you play back a movie in your home you will need a minimum of 5 speakers, and in some cases 7 or 9, plus at least one subwoofer. Here’s a list of the speakers needed and what their function is in a home theater system. Center Channel: This is the hub of the wheel, the most important speaker in a home theater system. Definitely do not go cheap on this speaker. It is the prime source for the dialogue in a movie. Front left and right: When using these for movies they are essentially effects speakers. They help simulate the sense of motion on the screen. They’ll also be the prime speakers for any musical soundtrack. Front height and width speakers: These are used to give a more realistic dimensionality to the soundstage and help bridge the gap between the front and surround speakers. Surround Speakers: These can be of three types. Bi-Polar, Di-Polar or Monopole. In each case they help with directional clues and give a sense of space to the sound track. You can add two more surround speakers to your system and position them on the side walls. This is done when you have a fairly large room to help give a better blend of sound. Subwoofer: Used to reproduce the very lowest bass notes. There are specific LFE (low frequency effects) channels on soundtracks that require this speaker. You can get away with using one, but more is better. 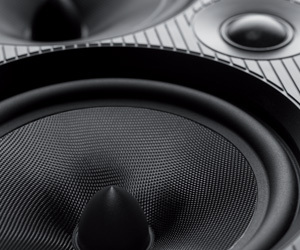 Additional subwoofers don’t have to be louder, but because they help eliminate bass cancelations in a room, they can create better sounding bass. One last thing, and perhaps the most important. The three front speakers should match each other. They should be from the same company and be timbre matched. This is so you have a similar sound across the front of the system. That’s not to say that the surrounds should be of inferior quality, just that the 3 front are the most important.